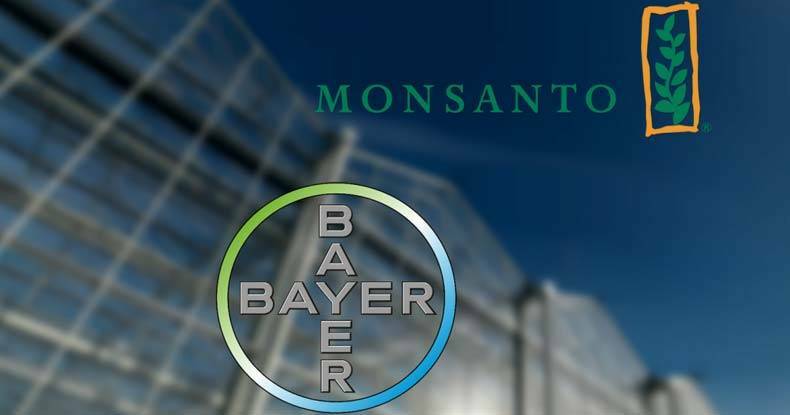 Bayer AG, a company that knowingly infected thousands of children with HIV, has officially announced its offer to purchase agrichemical giant Monsanto. Uniting two of the world’s most hated companies, the deal could potentially be a boon for Monsanto, whose sales have tanked significantly recently as the global market continues to scoff at its pesticide, herbicide, and genetically-engineered seed empire. Bayer’s announcement seems impeccably timed as thousands of people took to the streets in more than 40 countries around the world on Saturday in the 14th annual protest against the American multinational agrochemical and agricultural biotechnology giant Monsanto and against genetically modified (GMO) products. Estimates put Monsanto’s market value around $40 billion despite sagging sales, yet Bayer has come in with an offer of $62 billion in cash, including debt. This move would be the biggest foreign takeover in history by a German firm if the unsolicited offer is approved, according to a report in Reuters. “We fully expect a positive answer of the Monsanto board of directors,” Bayer CEO Werner Baumann told reporters on a conference call on Monday, describing criticism from investors as “an uneducated reaction in the media”, driven by an element of surprise, reports Reuters. Baumann assured investors Bayer would continue its unscrupulous line of healthcare products, which includes which includes stroke prevention pill Xarelto and aspirin, the painkiller it invented more than a century ago. “We are not feeding Peter by starving Paul here,” he said. Both Johnson & Johnson and Bayer, were just caught hiding critical laboratory data from one of the world’s top medical journals. The missing data is at the heart of a lawsuit being filed against the companies on behalf of 5,000 patients and their families who say they were harmed by the drug Xarelto, including 500 who died. Aside from their recent insidious move to hide lab data, a more nefarious incident involving an HIV-contaminated drug administered to children suffering from hemophilia proved the corporation’s intentions to have complete disregard for human life. “These are the most incriminating internal pharmaceutical industry documents I have ever seen,” said Dr. Sidney M. Wolf, director of the Public Citizen Research Group, at the time of the Times report in 2003. On the other side of the potential deal, Monsanto is responsible for poisoning the world’s waterways and ecosystems with a known probable human carcinogen, glyphosate — the hallmark ingredient in its herbicide, RoundUp. Internal company documents revealed last year that Monsanto had tested RoundUp for potential toxicity for years but used the guise of proprietary information to force the Environmental Protection Agency into sealing those records. Monsanto manufactured Agent Orange, used with sickening consequences during the Vietnam War, and has also been found responsible for the use of white phosphorus against civilians — including children — during the massacre in Gaza, among any number of other atrocious things. This enormous merger, if approved, would categorically create a behemoth of nefarious and questionable products and practices arguably no one but Bayer and Monsanto insiders ever want to see.